Vivian was called to the Ontario Bar in 2016 after graduating with a dual degree in business and law from the University of Western Ontario in London, Ontario. She has previously worked for a family law boutique in North York where she gained experience handling cases in the courthouses of Brampton, Newmarket and Toronto. 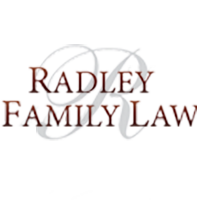 Prior to family law, Vivian gained experience practicing bankruptcy and insolvency and civil litigation. Vivian enjoys negotiating with opposing counsel and drafting cohabitation agreements, marriage contracts, and separation agreements. She also enjoys helping clients resolve their files through mediation and other out-of-court dispute resolution mechanisms. However, Vivian also understands when litigation is necessary and is experienced in drafting pleadings and representing clients in court. Vivian is an active volunteer and is a board member of the Federation of Asian Canadian Lawyers and is a member of the Family Lawyers Association. She also volunteers for Lawyers Feed the Hungry and Pro Bono Law Ontario. Vivian lives in Toronto where, in her limited free time, she enjoys reading, kickboxing, and bootcamp classes.